Flat Foot Anchors are similar in use to the Plate Anchor. They are used for thin slabs and additional reinforcement is essential. 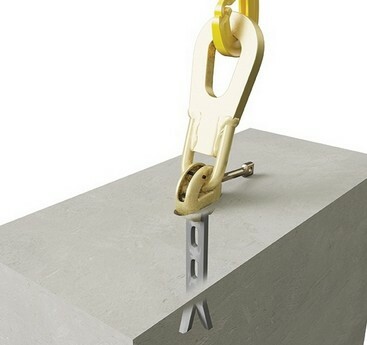 These anchors are manufactured from high grade steel, are only available in safe working loads from 1.4t to 22.0t. All Flat Foot Anchors are rigorously tested, inspected and are supplied with Declarations of Conformity with each order, along with safe working instructions where applicable. They are used for thin slabs and additional reinforcement is essential. To download the Declaration of Conformity for Spread Anchors click here.